We offer high quality Special Purpose Tooled - Up Cutting Machines and Metal Cutting Machine, that find application in diverse industries. Made from quality steel, our range of machines are long lasting and efficient performers. Designed for convenient operation, these machines are corrosion resistant and easy to maintain. Available in various specifications, our range of special purpose machines can be modified as per client's application based requirements. Keeping in mind the ever-changing requirements of the clients, we are engaged in offering Aluminum Slab Cutting Machine. The offered machine is made using optimum quality components and cutting-edge technology. 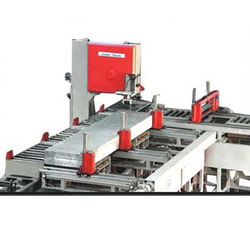 Our offered machine is designed to allow precise cutting of slabs and is easy to operate. We are a well-known name, engaged in offering Steel Grating Cutting Machine. Our offered machine is made using quality approved basic materials and hi-tech manufacturing techniques in compliance with the set industry standards. 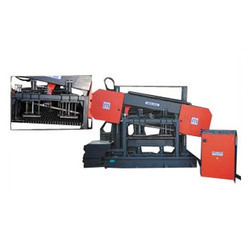 Precisely designed, the offered machine is extensively used in various steel cutting applications. We are a popular organization, engaged in offering Connecting Rod Cutting Machine. Our offered cutting machine is used for cutting depressions in a road surface. 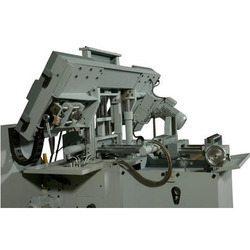 The cutting machine includes a rotatable cutting head connected with a drive device for rotating the cutting head and an engaging device for moving the cutting head out of & into contact with the road surface. We bring forth a quality grade Crankshaft Cutting Machine to the clients. 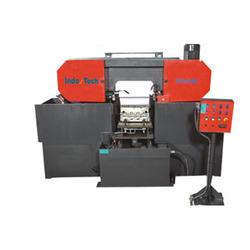 Our offered machine is designed and developed as per the current market technology to allow precise cutting. Owing to its optimal design and operational efficiency, it is widely preferred in various engineering industries and available with us in various specifications. We put forth Riser Cutting Machine to the clients. 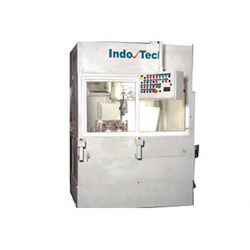 Our offered machine is manufactured using highly advanced technology and standard quality components in accordance with the global industry standards and norms. Our offered machine is recognized for its easy installation, maintenance & operations and thereby, is widely used in numerous industry applications. 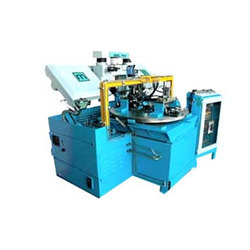 We manufacture supreme quality grade Riser Cutting Machine. It is used in different industrial applications and manufactured from best quality components in compliance with the set industry standards. Our expert professionals strictly examine each stage of the manufacturing process to provide ultimate quality products to our clients. We continue our legacy by offering Cylinder Cutting Machine. 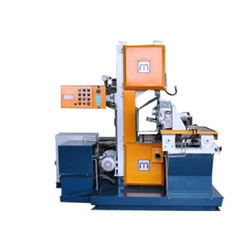 Our offered machine is widely appreciated and used in varied industries. Manufactured using high quality materials and components, the offered machine provides reliable performance and longer service life. They are available with us in various specifications. We are manufacture of Fully Automatic Metal Cutting Machine. Banking on the skills of our qualified team of professionals, we are instrumental in offering supreme quality range of Fully Automatic Metal Cutting Machine.